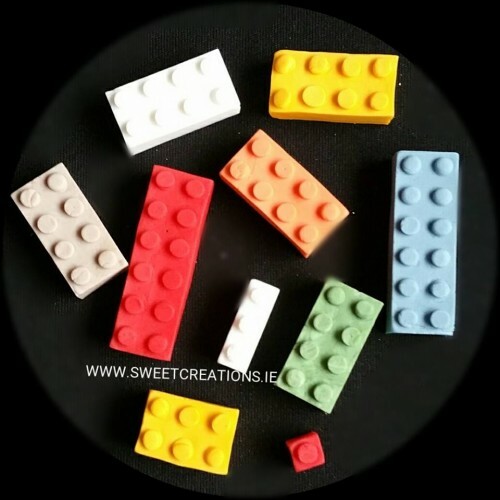 Edible building bricks, suitable for birthdays, cupcakes and celebrations cakes. The pack comes with a set of 10 various building bricks. Colours and sizes may vary. €3.75 per pack.